An industry leader for more than 60 years, Empire Abrasive Equipment Company specializes in the design and manufacture of air-blast equipment. Based in Langhorne, Pennsylvania, Empire today produces the most extensive line of air-blast products in the world. Tool-Krib Supply stocks a vast array of Empire blast cabinets that are equipped with a wide range of factory options to support most production requirements—we can usually provide whatever you need, right off the shelf, and supported by the manufacturer’s three-year limited warranty. Tool-Krib’s inventory of Empire equipment includes modular blast cabinets, automated blast systems from simple to sophisticated, blast rooms with a range of components for media recovery and reclamation, modified blast cabinets configured to meet special application requirements, rugged portable blast systems, energy-saving dust collectors, robotic blast systems, and a complete line of OSHA-compliant abrasive blasting safety equipment to protect your operators. We also offer a full line of blast media. 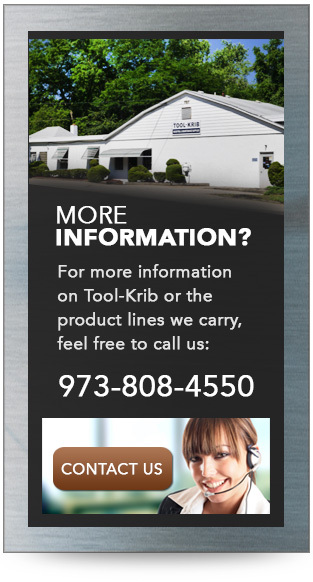 In addition to Empire Abrasive’s air-blast equipment, Tool-Krib Supply stocks a wide array of other products for industries that use metals in their manufacturing, from general machining to aerospace and defense, medical, energy, automotive, and general engineering.